Richmond is a city of 223,150 residents and 60 square miles that contain many markets. 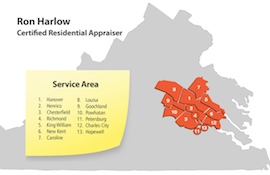 Church Hill, Jackson Ward, Windsor Farms, and The Fan are just a few that make it distinctive and diverse. Two major universities (VCU and University of Richmond) also have a strong influence on their respective areas. Richmond is also chock-full of historical sites and figures, including St. John’s Church and Arthur Ashe. Interesting trivia: Richmond’s historic Hollywood Cemetery it is the resting place of United States presidents James Monroe and John Tyler.